Want Cash in on Your Hobby? 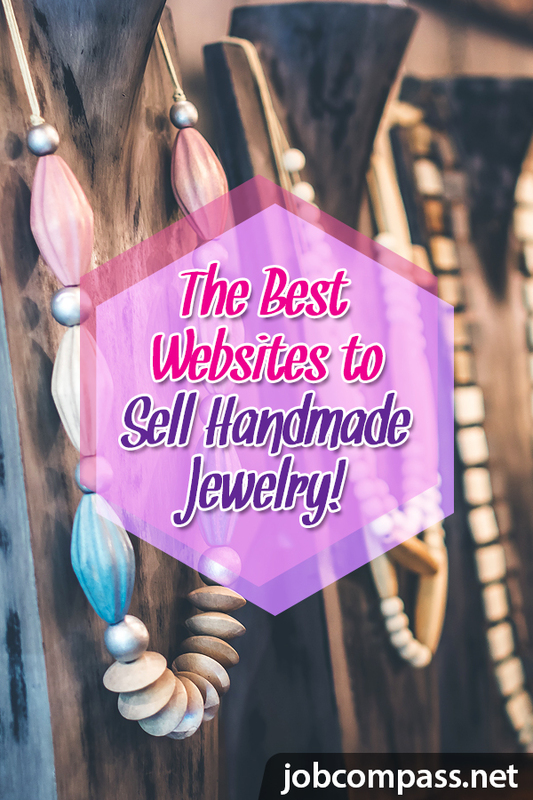 Here are 38 Places to Sell Handmade Crafts Online - JobCompass - Find Your Best Job! Did you know that you can turn one of your favorite hobbies into a way to make some extra cash? It’s true! If you are the kind of person who heads out to run some errands, but constantly finds yourself roaming the aisles of your local craft store, I have something amazing to tell you! What may just be a way for you to pass the time, or relieve some stress, can actually be a great way for you to earn some extra money! 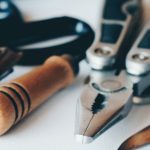 different craft selling websites, that I think you need to take a peek at! Whether you have totes full of knitted baby accessories, or a closet full of beautiful paintings, why not try to make some money from your arts and crafts? The following are some great places to help you offload your handmade goods, and get paid! Do you have extra craft supplies, handmade goods, or vintage items (over 20 years old) to rid from your home? Artfire is a well-known marketplace, that has a few different membership options, ranging from $4 per month to $40 per month. Hyena Cart has a $10 set up fee, though they are currently offering a penny promotion. That’s right, for a limited time you can sign up for only 1 penny! In addition to the set up fee, you will also incur monthly fees of $7.50. The good news? You won’t have to worry about listing fees. Also, should you decide to take a break, you don’t have to pay for the months you are inactive! Are you more into designing patterns, than creating completed projects? If so, you want to take a look at You Can Make This. When selling your patterns with the company you can choose whether you will allow customers to sell finished products after purchasing your pattern, or your patterns are for personal use only. Register for free, and You Can Make This will do the rest for you. You will be paid 50% commission on the sales generated from your patterns, and get paid once each month. Create a fully customizable online store front with Miiduu. Sign up for free, and then choose from three different subscription packages, from $9-$59. Each package will allow you to connect your own domain, have customer support 24/7, and there are zero additional transaction fees. The iCraft marketplace is strictly devoted to handmade goods, only. This means no vintage items, or other store bought products. So if you have crafted your own jewelry, clothing, and other non-edible goods, check it out! You must pay a one time registration fee of $25. There is also a monthly fee, pending how many items you with to carry in your store. The smallest subscription will allow you to list up to 50 different items for sale, at only $5 each month. There is also a package for $15 every month, but it allows you an unlimited number of items to be listed. If you intend to sell your goods on multiple sales channels, you definitely need to sign up with Zibbet. Zibbet allows you to connect certain channels to their platform, and it automatically syncs your inventory! No more jumping from site to site each time you sell a product. Subscriptions are as cheap as $10 per month, when using at least 2 sales channels. No commissions, and no fees? Score! Once registering as a seller at Handmade Artist Shop you pay just over $4 per month for your one year membership, or choose to pay monthly. If you choose to pay $5 each month, you can set up recurring payments, so the only thing you have to worry about is selling your handmade arts and crafts! If you live in the UK, this one’s for you! Folksy is a wonderful place to sell a variety of handcrafted items, from jewelry and clothing, to cards and stationary. Once you sign up, choose from 2 different plans. However, if you have products that are high in demand, you may be better off going with the plus option. This package doesn’t charge you fees for each item, and you can list an unlimited amount of products for sale. Antique and vintage items are both acceptable items to list for sale with ArtYah. Of course, you can list your homemade goods here as well. Expect to pay 10 cents per item listed, and you will incur a 3.5% final sales transaction fee of the price of each item sold. All items must be submitted for review before you are able to possibly sell them with Uncommon Goods. They have buyers who are constantly on the lookout for “interesting products.” If the buyers like your product, you can expect to hear back from them within 1 to 2 weeks. Have you always wanted a particular style of wrapping paper, or wallpaper, and you simply cannot find it? Design it yourself, and let Spoonflower sell your design for you. Get paid anywhere from 10%to 15% of the total sales of your product, twice a month! Misi is another craft mall online, that is great for those who live in the UK. You can create a store, free of charge, for a variety of your personalized goods. While you may not get zinged for creating a store, you can expect to have to pay listing fees, as well as commission on each of the products that you list and sell. As you noticed, most of the sites above all charge you membership fees to sell your goods. However, if you don’t have the extra funds to get your store started, don’t worry! The following places don’t charge you anything to initially sign up. Shop Handmade will allow you to create your very own store, 100% fee free. So if you are on the fence about selling your handmade goods, or gently used craft supplies, this is the perfect place to start! eCrater is a great place to start up your own store. Best of all, it’s free! When you create your store through eCrater, you will have a variety of great options for your store, like your own URL, unlimited disk space, and a USPS shipping calculator! So, this site really isn’t meant for selling your homemade goods. Instead, it is a site dedicated to selling your leftover arts and craft supplies! When you realize you have far too many sheets of cardstock lying around (if there even is such a thing as too many! ), Creative Resale is where you go to unload it! Create as many postings for your unused crafting supplies, for free! You can even donate them here, if you simply want them gone, ASAP. Upload your products in just minutes, to your, customizable, online store. Storenvy will help you create your very own store, for free, with their “hobbyist” package. You can upload 1,000 products, before having to upgrade to either their “plus” or “pro” packages. They also have a marketplace, in which you can sell your products, and pay a 10% commission on your sales. However, if your item sells straight from your shop, you don’t have to pay the commission. So make sure your friends are purchasing directly from your store! Shipping calculators, inventory control, and the ability to upload at least 10 different photos per product are just some of the features included in your membership with Meylah. When signing up, you will have the option to choose from a free membership, basic membership, or their premium membership. No matter which you choose to go with, you will have to pay 2.75% in transaction fees. If you want to provide your customers with the option of subscribing to your products on a monthly basis, you need to head on over to Cratejoy. While you will encounter transaction fees, it is free to sell on their marketplace. However, if you are looking to create and launch your own website, you can do that here, too! For $39 per month, you will have access to advanced re-billing and shipping features, as well as some excellent tools to help you manage your customers. The Shopify platform is very widely known. In fact, they have over 800,000 business powered by them! 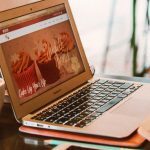 While shopify charges upwards of $29 per month, to maintain your customized shop, they also offer a free 14 day trial. So give it a shot. If you don’t find yourself selling as much product as you’d hope, no worries. Simply cancel your account before the end of your trial. Bonanza comes highly recommended among many crafters. There are zero start up fees, and zero listing fees, when selling through Bonanza! You have the option of selling through the marketplace, or creating your very own, personalized store! If you are new to selling your goods, and have no more than 100 products to list, consider giving CraftIsArt a shot. It is free to create a “basic” store, though you will owe a 5.5% commission. On the other hand, if you are feeling ambitious, sign up for their premium plan, to sell without limits, and without paying commission! It’s only $7.99 per month, or sign up for an entire year, and save an additional $15+ dollars. With Square, you can create your very own store, to sell just about anything you can think of. It’s free to create your store. The only fees you have to worry about paying are the processing fees when your customers make a purchase. The only fee for selling your handcrafted products through Aftcra is merely a 7% fee from each sale, due to Aftcra. Raverly is a great place to sell your crochet/knit patterns! I’ve read that you can sell $30 worth of patterns before you have to worry about paying any kind of fees. As a verified member of Society6, you can sell your art prints on a variety of different products. Simply upload your work, and they will produce the product, ship it, and of course, take a commission. Whether you choose to sign up under the free, basic plan, or the premium plan, for $5 a month, you can sell your products without having to worry about paying any listing fees, or commissions with Articents. There are a few things that I love about GLC Craft Mall. First of all, their stores are ad free, no matter which plan you choose to purchase. Second, your store will be 100% mobile friendly. Because how many people actually shop from a desktop or laptop, these days? And lastly, their stores are ad free. You want your customer focusing on the products you have for sale, not the flashing ads at the top of the page! Sell your beautiful art prints and sculptures on Absolute Arts. While it is free to list up to 20 pieces of art, you will have to pay commission on each sale. These are just a few of my favorite places to sell craft goods, as they get a fair amount of traffic. You don’t have to worry about membership fees with these sites, however, you may incur some other fees. For those who don’t mind taking a bit of a risk, you can try your hand at selling your goods on Facebook. There are plenty of Facebook marketplace pages that are devoted to selling and purchasing hand crafted goods. Simply join each of these sites to list your products. Just make sure to receive your payments before shipping out your products, to best avoid getting scammed. Crafting can sometimes be an expensive hobby. Instead of just spending money on all of your supplies, why not try to make some of it back, and sell your masterpieces? I’ve listed many of my favorite places (plus many more) to sell various crafts online. Some of which won’t even charge you a cent, to list your items. What is your favorite site to sell your products through? 20 Best Independent Jobs For Introverts, Like You!